At Mobo Group, we are like family, we go above and beyond to provide you with the support you require, and will always make time for you. The Mobo Group team is dedicated to providing ongoing support for our employees. We currently provide our services to over 200 supported employees from our 12 sites covering metropolitan and regional areas of South Australia. At Mobo Group, our service is free and we provide long-term solutions that go beyond the recruitment process. We’re here to help you with your employment needs and beyond, providing support every step of the way. Mobo Group is caring, fun and community-focused. New recruits can build a support network with fellow supported employees and staff, leading to long term friendships and social connections. The people who work with us love coming to work every day as part of the Mobo Group family. 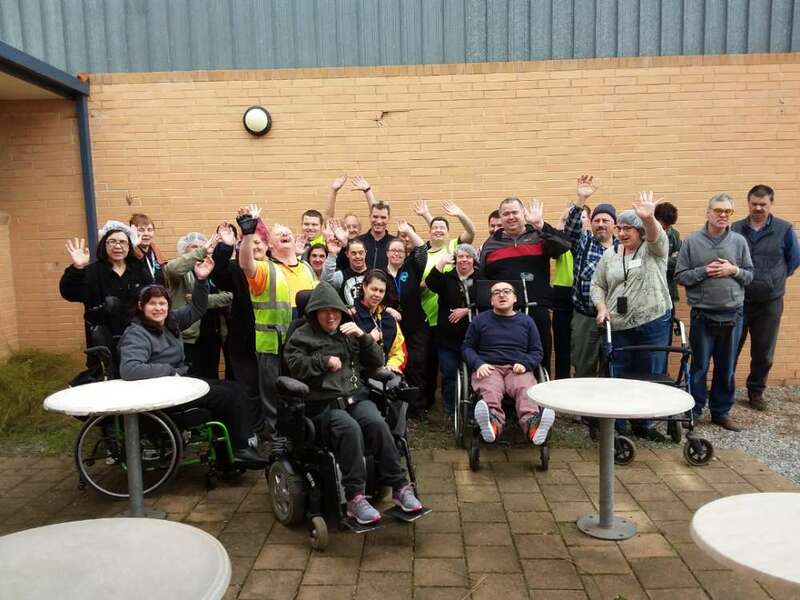 We are proud of our community atmosphere, and we help our employees and NDIS participants to become more active in their community by encouraging them to get involved. Mobo Group is committed to helping you develop your life skills and increasing your independence. Our services can help guide and encourage you to build skills that will help you with your daily living. At Mobo Group, we want you to develop the skills and the freedom to live the best life that you can, where you can thrive and feel fulfilled. Working with Mobo Group is a great opportunity to better yourself and be the best you can be. Our staff are committed to making sure that each person looking for work and employed at Mobo Group is treated fairly and given the opportunity to learn new skills, make new friends and gain independence. You will receive training and an Individual Employment Plan, outlining strategies to assist you in achieving your vocational goals. Be 16 years of age or over. Leaving school and finding a job can be an exciting time, but it can also be quite confusing. Mobo Group can help you prepare for the next phase of your life, whether that means finding and keeping a job, or further study and training. If you’re a Year 12 student that is eligible for the NDIS, School Leaver Employment Support (SLES) can support you in your transition from school to work. The SLES is a new NDIS support and individualised plan designed to help you meet your employment goals after leaving school. Under the SLES program, Mobo Group has successfully supported individuals to gain the skills and confidence to land employment in their chosen field. Development of a working lifestyle and life skills to support school-to-workplace transition. Your work goals will be unique to you, so we encourage you to think about what help you might need to transition into employment. At Mobo Group, we can offer you personalised support through the SLES program for up to two years after you finish Year 12. Your SLES support may include help with money handling, travel training, time management, and taking instructions. Get in touch with the Mobo Group team today to learn more about the SLES program. Disability Employment Services (DES) is a support program that supports persons with a disability to get ready to look for, find and keep a job. Mobo Group is a DES provider and can arrange support for you if you are seeking work in the mainstream workforce. The difference between DES and SLES is the participant’s current readiness for open employment, meaning that a SLES participant may need two years to meet the criteria for DES. For example, a recent school leaver may need time to build vocational skills, independent living skills, and confidence to be workplace-ready. Liaise with your family and/or carers. The intended outcome of the DES program is to provide you with paid employment in a sustainable job and provide you with the necessary supports to maintain that job into the future. A participant can access both the NDIS and DES at the same time, if they are eligible for both. At Mobo Group, we’ll provide you with one-on-one support from our consultant to help you with your DES needs. We’re with you throughout every step in your employment journey. Get in touch to learn more about the DES and how we can support you.